Obituary for Enid Corrine "Corky" (Ray) Batterton | Lanman Funeral Home, Inc.
Enid Corrine "Corky" Batterton, 88, died on January 9, 2019 in Albuquerque, New Mexico. She was born on August 18, 1930, on a farm near Lovell, Oklahoma to Charles and Ethyl Ray, as the third of four girls. She graduated from Dover High School in 1947 after having skipped a grade. She met her husband, Merle Batterton, an oil field worker, in Crescent. They were married on January 6, 1948 and lived in Crescent until 1957, when they moved to Cherokee with the oil boom there. They had two children, Clinton Ray Batterton and Karen Elaine Batterton Roberts. In 1960 she and her husband started the Dairy Mart in Cherokee, where she worked for 20 years. She was much loved by her customers and the teenage girls whom she introduced into the world of work, because she always took a personal interest in all of them. After she sold the Dairy Mart, she spent several years touring the world with her cousins. She also became interested in crafts and took painting classes. She loved quilting and made baby quilts for the new babies in town for years. One of her quilts hangs in the local library. She and her husband, Merle bought a hobby farm, which was full of wild life and captured their interest for many years. She was well known for her sense of humor and her indomitable spirit. She loved cards and dominoes and would play for hours if you were willing. She was a vibrant force of nature and was never boring! She was preceded in death by her parents; her sisters, to whom she was devoted, Beth Watkins, Virginia Hickey and Nancy Schwartz; her beloved daughter, Karen and her husband, Merle. 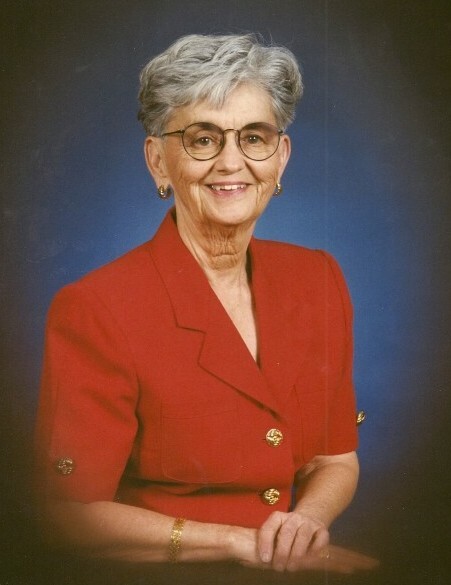 She is survived by her son, Clinton Batterton and his partner, Robert Powell; her grandson, Chris Lee Roberts and his partner, Jonathon LaValley, who were conscientiously devoted to her care; two sisters-in-law, Iris York and Juanita Weber; many nieces; nephews; great-nieces; great nephews and loving friends. A celebration of her life will be held at the First Christian Church of Cherokee, 202 S. Kansas Avenue, on Saturday, January 19, 2019 at 2:00 p.m. Arrangements are by Lanman Funeral Home, Inc. of Cherokee. There will be a private burial. www.lanmanmemorials.com Facebook: Lanman Funeral Home Inc. Those who have one of her baby quilts are invited to bring them to her service. Contributions in lieu of flowers should be made to the Cherokee Food Pantry through the funeral home.